We have now enabled file trimming on Scribie.com. 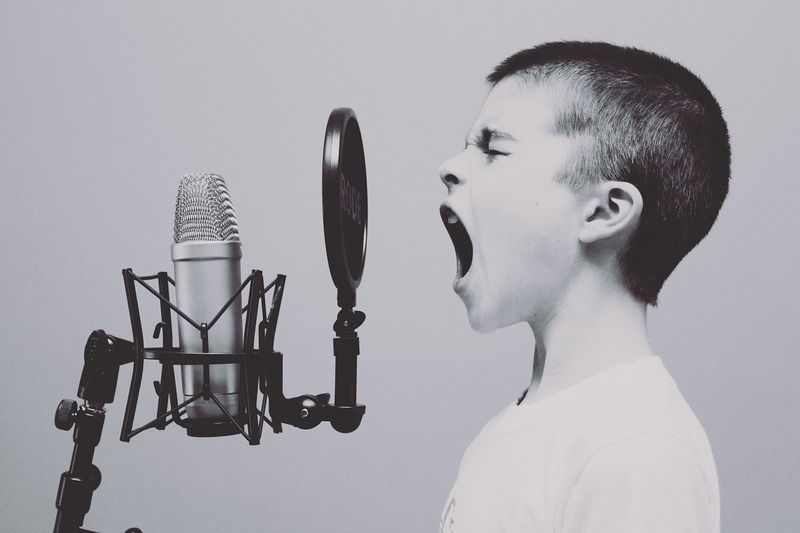 If you have a audio file and need only parts of it transcribed then you can trim the audio file and remove the unwanted parts before placing the order, thus saving your costs. 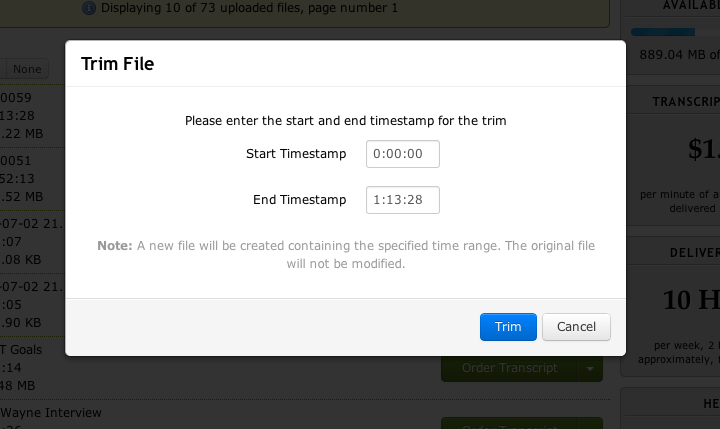 The Trim File option is available from both, the Uploaded Files and Invoice pages (named as Time Range, last option). It brings up a dialog which prompts you to enter the start and end time stamp. The audio file is trimmed to contain only the portion between start and end. A new file is created and placed in your files page. The original file is kept intact and can be use to create further trimmed files. The trimmed file can then be ordered. Try it out today. As usual, feedback/comments are most welcome. 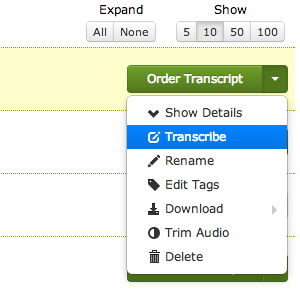 We have recently added two new options which can be specified when ordering Transcripts. A screenshot is below. The first one is Flexible Delivery. If Flexible Delivery is enabled then the we will deliver the transcript anytime within a week as per our schedule. In the worst case the delivery will be done after 1 week. But it can also happen before that if we find a slot for it. We offer a 10% discount for Flexible Delivery orders. The second option is Additional Proofreading. In our transcription process we do one mandatory round of proofreading. For Additional Proofreading orders we do a second round of proofreading as well. This is useful for files which are difficult to transcribe, i.e. files which poor audio quality where the speakers can’t be heard clearly or which have noisy environment, or files which have non-native speakers whose diction is hard to comprehend. We charge $0.50 per minute extra for this option. In addition to these options we have also do more quality checking than before. We also pay more attention to blanks which are leftover after proofreading and try to correct them as much as possible. We’d like to thank you for using our service and your valuable feedback. If you’re looking to sell our your own e-book then have a look at Jared’s post at Startups Open Sourced. He’s had great success with it and has written up a detailed how-to of the steps involved. One of his tips is; get your interviews recorded and hire a transcriber to transcribe everything which you can work off. 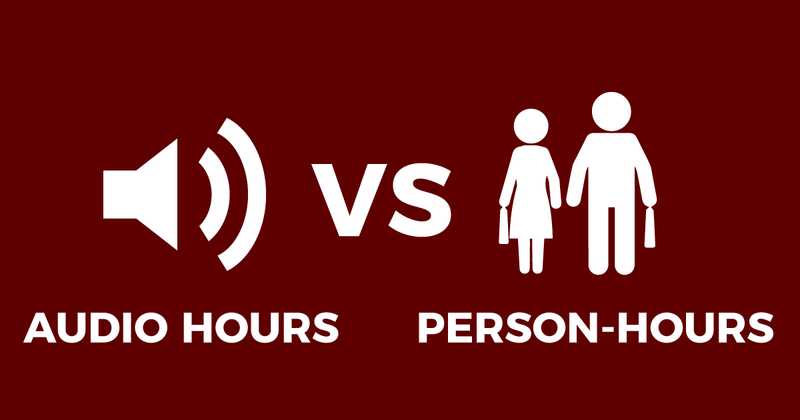 While hiring a transcriptionist, keep in mind the difference between the audio hour and person-hours, which Jared mentions in his post. 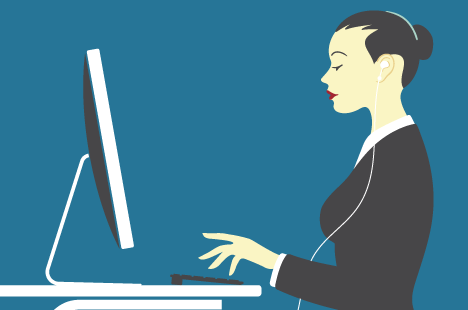 An hour of audio can take anywhere from 4 to 6 hours to transcribe. If you’re paying by the hour then your cost will basically be multiplied by that factor. On the other hand, if you’re paying by the audio hour, then the amount of effort spent does not matter. You’ll pay for the amount of audio transcribed and not the time that was taken for it to be transcribed. On Scribie.com, we charge by the audio hour for all good-quality audio files. However, if the audio contains background noise, isn’t recorded well, or has non-North American accents, there may be an additional fee for high-difficulty files. These types of files require more time from our transcribers in order to maintain Scribie’s expectation of quality. Deliveries: The delivery slabs are now 3 days, 1 day and 12 hours instead of 7 days, 3 days and 1 day respectively. The rates remain the same. Video Files: You can upload video files and have them transcribed. We support wmv, avi, flv, mpg, mp4 and mov files. The files are converted to mp3’s and then you can order transcripts. URL Upload: Files can be uploaded by URL’s. Eg. YouTube links or podcast links. Partial Transcripts: After ordering the transcript you can view partial transcripts. The option is in the actions menu in the transcripts page. Order Cancellation: After the transcript order has been placed you can cancel the order and we’ll refund the applicable amount to you. The applicable amount is calculated from the transcript progress. Tools: We have also added a slew of tools to modify/clean up the transcripts after they have delivered. The timestamps, speaker initials, blanks and all meta information can be removed. A simple find a replace tools has also been added. These options are available from the actions menu in the transcripts page. The transcript text can also be copied directly to the clipboard from as opposed to download the files. Thank you for using Call Graph! Comments/feedback are most welcome.